Cooking is therapeutic. At least for me. Except for those occasions when I want nothing to do with the kitchen and when I don’t want to even think about cooking, planning a meal or washing the dishes. And that does happen–albeit infrequently–even for those of us who love to cook. However, not cooking at home means you need to eat out and the truth is that when you are eating a paleo diet, dining out can be difficult–if not down right frustrating. Everything comes on bread or is served with or on carbs (such as rice, potatoes, quinoa, pasta). Few restaurants are evolved enough to offer paleo options for those who have adopted this way of life, but there are a few restaurants that are hearing the pleas of their customers and responding. If only slowly. Couple that with the fact that we could be considered (and, just for the record, we are) food snobs and your restaurant options are even slimmer. So that means not only do we want no bad carbs, we also want the food to be good. Our first choice is Green Vegetarian Cuisine, located in the Pearl Brewery. Filled with color and a splash of funkadelic, this new hot spot along the Broadway corridor is teeming with a healthy sense of consciousness and a plentiful serving of plant-based options. It’s where we go nearly every Monday when we are too tired to cook after our weekend of back-to-back farmers markets. 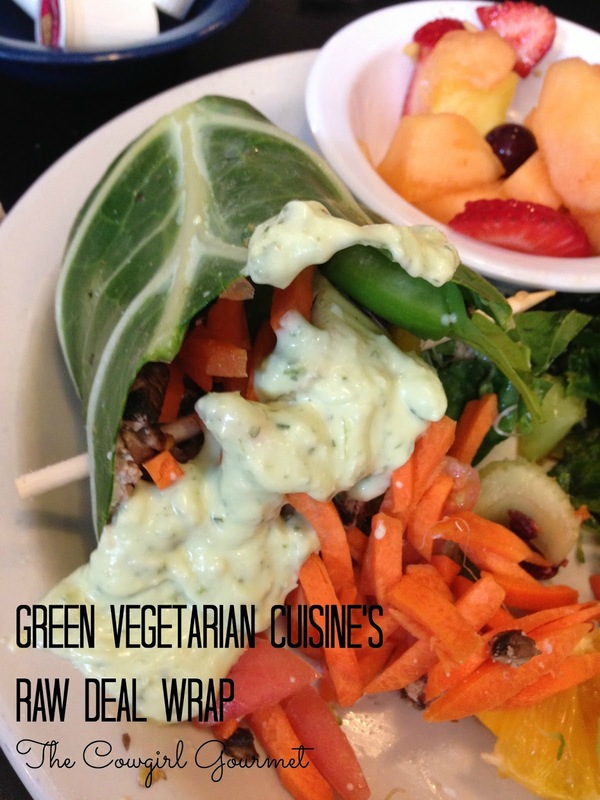 And the Raw Deal Wrap is the one that does it for us. Every. Time. A collard green leaf serves as the “wrap” and is then generously stuffed with shredded carrots, chopped celery, dried cranberries, pecan hummus, chopped portobella mushrooms, spinach, sprouts, tomato and bell peppers. The pecan hummus offers something for the raw veggies to hold on to. In fact, the hummus is almost “meaty” while the fresh vegetables give the texture and the dried cranberries offer just a hint of sweetness at just the right moment. Be sure and ask for the vegan poblano ranch dressing on the side for an explosion of flavor. 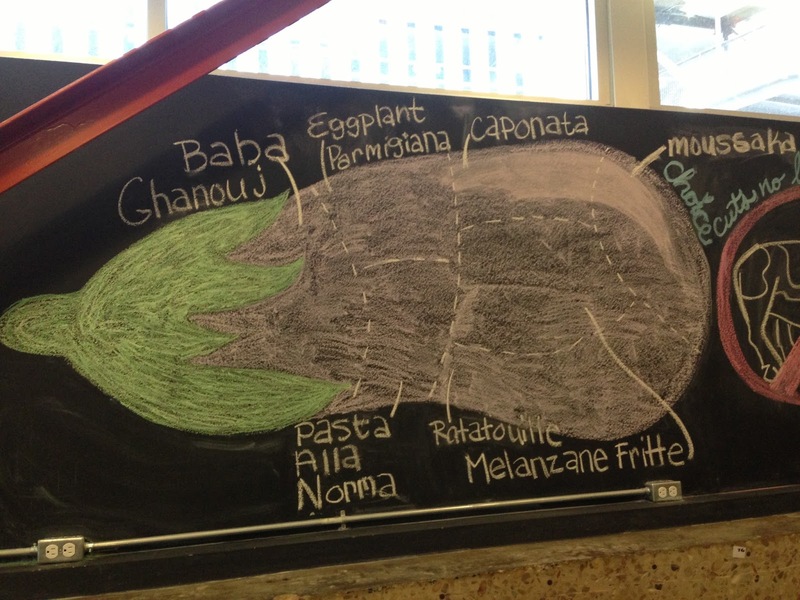 We also like to order the Asian eggplant. This Asian-inspired dish features thinly sliced eggplant, lightly breaded and fried and topped with a sesame-mushroom gravy. 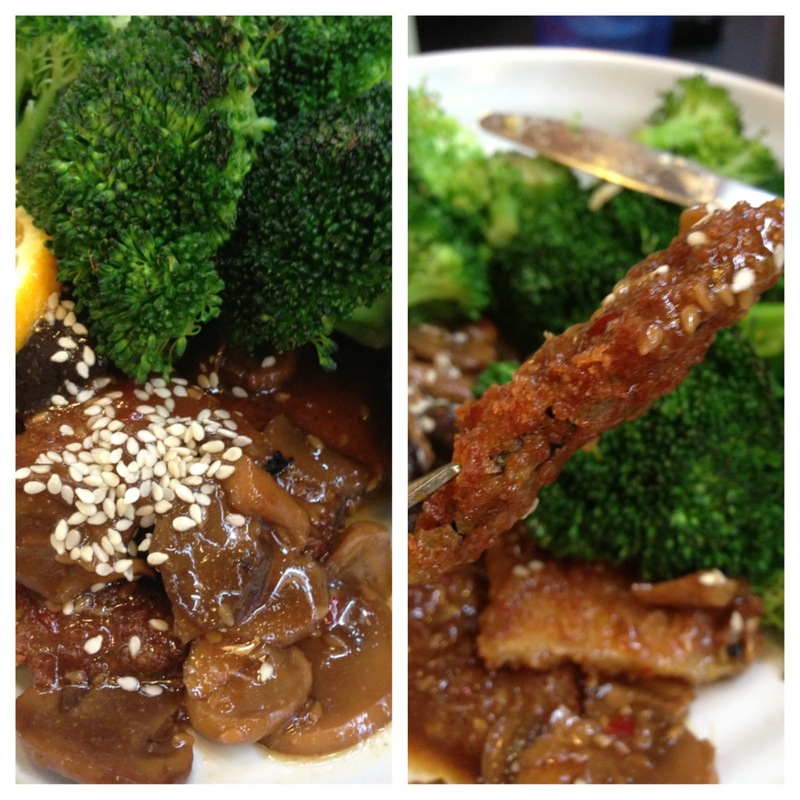 It is served with steamed broccoli over brown rice–which they will eliminate and give you more broccoli instead. Before moving to their new digs at the Pearl, they opened in 2007 just west of downtown on Main. They renovated the building and it was entirely “green,” and so the restaurant was aptly named which also represents the style of food they serve. The first of its kind in the Alamo City, it took about three years for this vegetarian (and 100% kosher) restaurant concept to really “click” with San Antonians. Through the years, the restaurant menu has evolved and comfortably found its niche by offering really delicious fresh and delicious vegetarian and vegan comfort foods. Real foods. Mostly plant-based. And my guess is that you, like my husband, will never miss what’s missing. We were impressed with the spinach and apple salad tossed with feta and crushed pecans and even hurridly stuck our forks in the bowl vying for the last few bites. Fresh and crisp spinach had just the right amount of toppings and was not overdressed making it an impressive feat in this city. 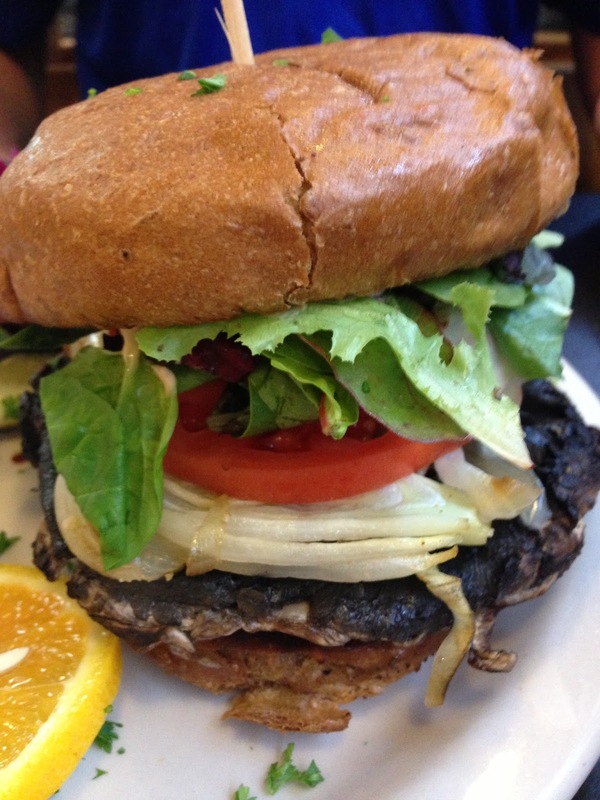 If you’re not that into vegetarian food and need something a bit more substantial to sink your teeth into, try the portabella burger. I promise you’ll feel carnivorous, but you won’t feel slighted. 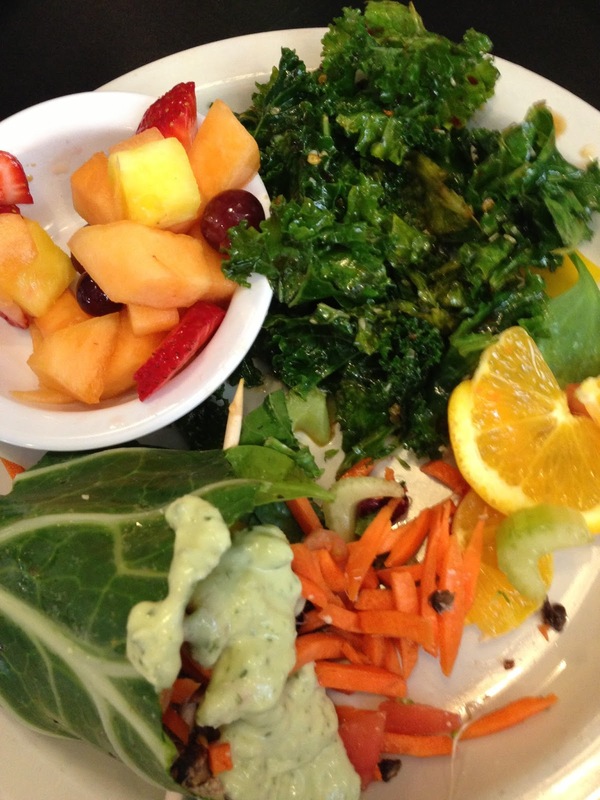 Be sure and order a side of their famously delicious kale salad, though if you order a bowl–and there are several to choose from–you’ll be lucky enough to get to try the kale salad. The Monk’s Bowl, Green Bowl or the Macrobiotic Bowl. Each offers enough to satisfy with plenty of flavors and textures, so give them a try. You’ll definitely want to save room for dessert since Green has established themselves as the city’s go-to spot for the best vegan baked goods. 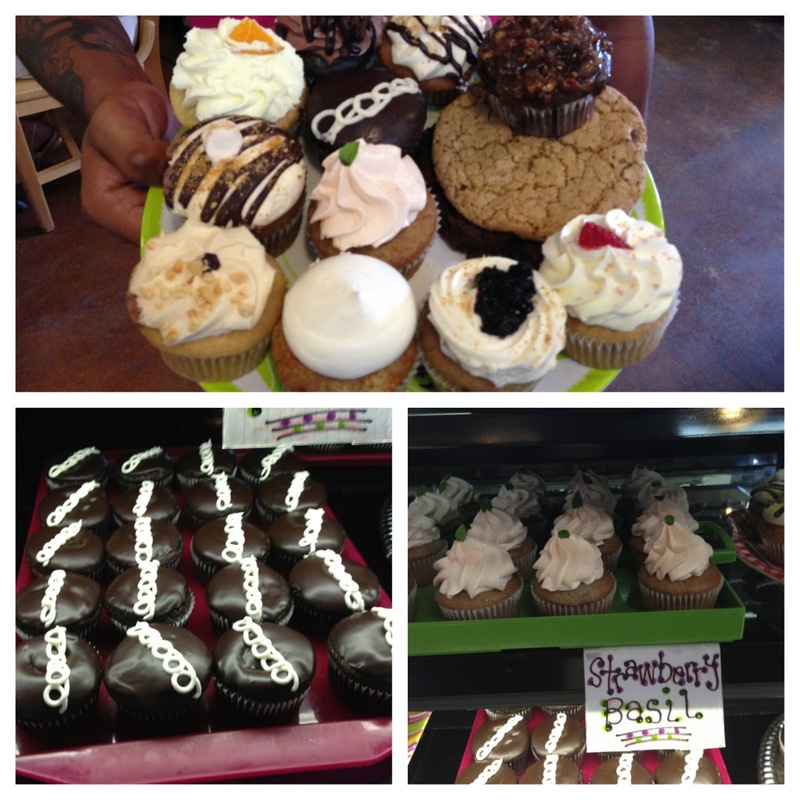 Vegan cupcakes and cookies are made in-house every day by their semi-famous-local-rock-star-vegan-baker-chef, Cece Loessin. 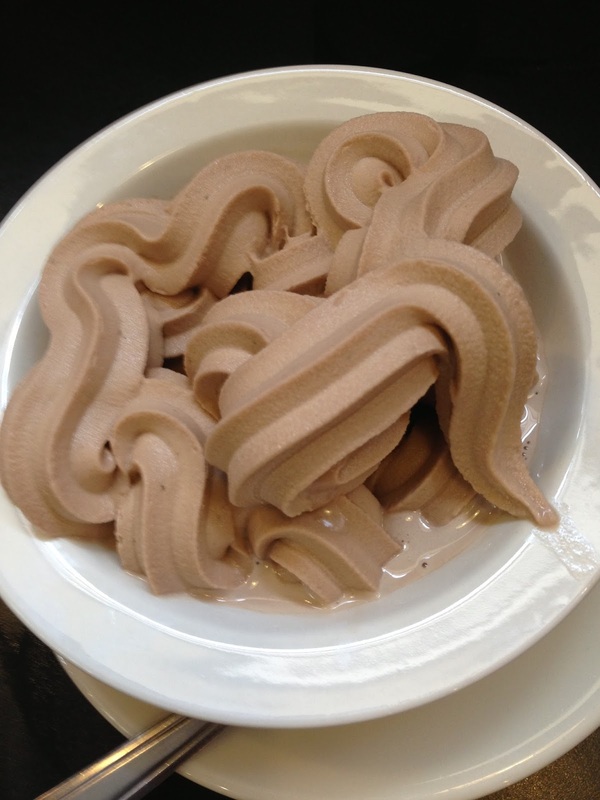 You can end your experience on a sweet note with something Cece whipped up or a cone or bowl of homemade soft serve ice cream made with soy milk. Each day brings a different flavor, but we have totally fallen in love with their iteration of coffee and chocolate mint varieties. 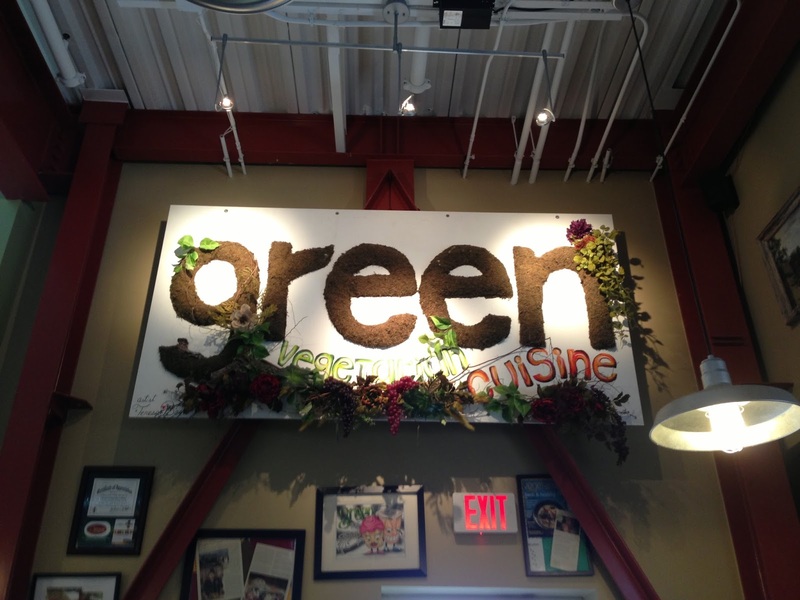 As a frequenter of Green, they have generously donated a $25 gift card for the person who posts the most compelling reason why they want to try one of the dishes mentioned in this blog. Post your answer here or on our Facebook page, Cowgirl Granola and enter to win a $25 gift card! Comments must be made before Monday, August 19. Winner will be announced Tuesday, August 20. Note: The restaurant serves breakfast, lunch and dinner every day except on Saturdays when they are closed.